Written down by Ms. Mabel Collins, with commentaries made in some cases by an Initiate, the book “Light on the Path” is one of the greatest among theosophical classics. The rules and axioms of this small volume have been studied since remote ages by those who try to live according to the Esoteric Wisdom of the East. On the other hand, there are a number of commentaries in the volume which were written by Ms. Collins and transmit false ideas. These passages present decisive tests to the discernment of readers. They result from causes which can be now easily investigated. Due to the probations and tests faced by theosophists during the 19th century, Ms. Mabel Collins lost her sense of ethics and common sense soon after the publication of “Light on the Path”. The mistakes she then made for lack of respect for truth were already present as seeds, and on an abstract plane, in her approach to the law of karma and her view of the theosophical philosophy, as one can see in her commentaries to the rules in “Light on the Path” and in the final essay of the volume, “Karma”. The fact that all of the book’s material was published while Helena Blavatsky lived is no guarantee of an absence of mistakes. There is no “infallibility” in esotericism. All things human must be unceasingly improved. As an editor, H. P. Blavatsky was extremely tolerant and made mistakes for being less severe than she ought to. A short time before dying, H.P.B. received letters of warning from her Master and made a harsh self-criticism in correspondence sent to her friends. H.P.B. realized in 1889 and 1890 that she had underestimated the deficit of ethical feelings and love to self-discipline among the majority of her students. She had been too optimistic regarding the awakening of wisdom in human soul. “Light on the Path” was first published in 1885, some five years before H.P. Blavatsky’s pedagogical self-criticism. 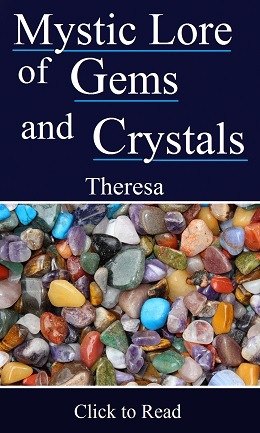 An examination of the book shows that Mabel Collins did not see Ethics as a decisive factor in theosophy. Some of her gravest mistakes are in the final essay, entitled “Karma”. The illusion according to which immortal sages are “above” or “outside” the Law of Karma is a trap and opens the door to spiritual defeat. The Teachers and Initiates are servers who know, live and exemplify the Law. There is nothing outside the Law in the Universe, and there never was. Each deviation will have to be compensated. Each mistake will be corrected. The One Law regulates everything taking place during the periods of manifestation of the Universe, the Manvantaras; the same Law regulates every aspect of the periods of rest in the Cosmos, its Pralayas. Therefore no defeat is permanent. At each failure, new attempts must be made until victory takes place, little by little. From a theosophical point of view, the learning of one’s soul includes many incarnations. Unlike superstitious religions, there is nothing similar to an “eternal condemnation” in theosophy. Fear from defeat is an obstacle in itself, when it paralyses the truth seeker. Confidence is a virtue, when caution and prudence are not abandoned. The two most important factors in a pilgrimage are the adoption of a noble goal and the courage to unceasingly try one’s best. Failures indicate mistakes to be corrected in the future. Mabel Collins’ contribution to the theosophical Cause will last, while her personal defeat will be overcome and give way to wisdom. The failure of a number of students and disciples during the first years of the theosophical movement - in the 19th century - must be looked at from at least two main viewpoints. One of them reveals the mistakes made by the aspirants to discipleship. The illusions which defeated them must be avoided by 21st century students. The other point of view invites us to evaluate the method used in teaching. As we mentioned above, the limitations of HPB’s pedagogical practice as a teacher led her to make a severe self-criticism. This took place one year after Mabel Collins’ crisis regarding the theosophical movement. On the occasion, H. P. Blavatsky had to deal with the defeat of several others, among her co-workers and students. The teacher who expects too much from students leads them to failure. The teachings must be transmitted in a rhythm and in a way which reduce as much as possible the danger of a failure on the part of the student. During pioneer efforts, an extraordinary amount of rigour may be historically unavoidable. As time passes, the pedagogical effort can better calculate the effects of its action regarding the pupils. Expectations get to be more realistic, and the teaching is transmitted in a slower way. In teaching, preference is given to that which students can absorb on the basis of a stable practice of Ethics, inseparable from a direct understanding of the abstract universal laws and their dynamics in daily life. During the 21st century, the esoteric movement must learn from HPB’s self-criticism and adapt its view of discipleship. That which is simple can be profound. Topics that are unnecessarily complicated often become superficial. It is correct to build an approach to theosophy that is simple in its operational aspects, and whose complexity remains invisible in normal conditions. Discipleship has always occurred in widely implicit ways, and trying to “organize” it in too detailed ways through material and institutional structures would provoke problems that are hard to solve in the present phase of human evolution. Although these two works have much in common, there are various significant differences between them. “Light on the Path” results from the cooperation of a Greek high Initiate with a student from a Western country. Its language is easier to understand for readers of the West. “The Voice of the Silence” was written by an Initiate Disciple, and much more advanced than Mabel Collins. “The Voice of the Silence” is a totally Eastern work and more challenging to the reader. In it, Helena Blavatsky pays less attention to the specific psychological complexities which seem to be so important to Western souls. 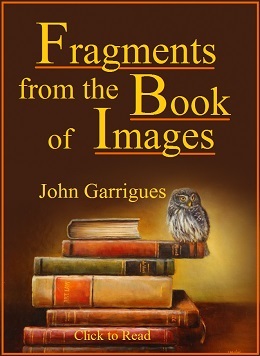 In the same year, in a personal letter to a theosophist named John Ransom Bridge, HPB considered “insidious” and “dangerous” the rule number 20 of the book. She added that only “the main body” of the volume was dictated by a true Adept, and the rest was “added from the inner consciousness of Miss Mabel Collins”. On other occasions, HPB informed that the Adept was not a Master , nor a Mahatma. There is public evidence that the name he used in the 19th century was Illarion , also spelled as Hilarion, and that he was Greek. There are two “rules number 20” in “Light on the Path”: one belongs to the first series of rules, the other to the second. HPB does not clarify to which part of the book she refers. Rule 20 in the second series has one sentence only. Its idea does not seem to be ethically questionable and it is not commented by M. Collins. We must infer that HPB questioned rule 20 of the first series, which is long, complex, and was commented by M. Collins. HPB added that rule 20 has an “Occult venom”, and a “close relationship to Tantrika Black Magic”. However, it is not easy to find “venom” on rule I-20. By mentioning this harmless part of the book, HPB may have wanted to say to her correspondent that the book had serious occult problems, without specifically revealing them or dwelling on them. This is likely because on occasions when HPB could not speak openly, she would often write enigmatic sentences as the ones used in this case. She thus caused a certain perplexity which could lead people to investigate in the right direction and discover facts on their own merit. A critical examination of rule I-20 shows that its text does not make the fact clear enough that a total renunciation is necessary in one’s lower self. However, this is a minor error if one examines the book as a whole. A sentence can be seen as dangerous in rule I-20 of “Light on the Path”. Referring to the Path, it says: “Seek it by testing all experience”. However, the real meaning of the axiom is: “Seek [the path] by seeing as a test each experience you have in life”. And this idea is correct. Rule I-20 contains warnings about the need to lead a pure life. Various ideas in the rule and in the commentary to it are useful and profound. While looking at these lines, however, HPB may have seen the confused mental state of Mabel Collins, who wrote them down. This fragment of the book does not have a necessarily venomous effect to all readers. Each one must observe it with independence and take into consideration the different factors involved. While a number of ethical mistakes can be seen in the book and must be identified in public, HPB recognized in more than one occasion the great value of the work. “Light on the Path” is a classic text and belongs in the library of every student of esoteric philosophy, including newcomers and experienced learners. The failings of the book exemplify the need to avoid blind belief: the truth-seeker must think by himself. Although Mabel Collins cooperated with an Adept, she did not have solid foundations in her life. Her defeat as a disciple is a sign of alert about the need to constantly re-examine the firmness (or otherwise) of the ground on which we walk. Only altruism is stable. An effective progress along the way to wisdom must be obtained by our own merit, while we work with a feeling of unconditional love for truth and in close cooperation with other good-willing individuals. Life obeys to the Law of symmetry and justice. It is by helping those who may know less, that a pilgrim starts receiving the help - perhaps invisible - of Those who know more than he does. The community of students must establish a harmony as strong as possible, and a complete cooperation as long as karma allows it to. The same challenge operates in the universe of family relations. Life flows according to the law of symmetry. At each step along the road to sacredness, the student has to take one step away from the world of personal interests. His decision to look for the best will be tested in several painful and unexpected ways. This results from the action of the impersonal forces which fight the divine world. Although the search for lay discipleship is only a preliminary preparation for a more advanced learning, it contains in itself, in small scale, the main elements of the future. Hence the decisive importance of thinking about discipleship, as one studies theosophy. The Law of Symmetry is the law of karma and regulates discipleship. The Mahatma Letters show that anti-spiritual energies are consciously used by Eastern Esoteric sages in order to avoid the premature or unstable progress of their students. On Letter 30, one Master says that some “dugpas” (anti-evolutionary, anti-ethical sorcerers) receive “carte blanche” from the magicians of goodness and altruism to test in cruel ways the “chelas” or disciples of divine wisdom. There are no specific forewarnings for tests and traps emerging along the path. They appear in unexpected ways, often in the student’s most intimate relationships, and when inner affinity is the greatest. They come through family and in the interaction with companions along the spiritual road. The history of the theosophical movement gives us countless examples of the fact. Each student must remember, therefore, that supreme intelligence is impartial: nobody is his friend, in the conventional sense of the word; and nobody is his enemy. Everyone is his teacher. See the text “Helena Blavatsky’s Self-Criticism” by Carlos Cardoso Aveline. The article is published in our associated websites. “Five Messages”, H. P. Blavatsky, Theosophy Co., Los Angeles, 1922, 32 pp., see p. 26. The booklet is available at our associated websites. “The Voice of the Silence”, translated and annotated by H.P.B., Theosophy Company, Los Angeles, 1987, 110 pp., p. i. “Light on the Path”, M.C., Theosophy Co., Mumbai, India. “The Voice of the Silence”, Theosophy Company, pp. 2-3. “Collected Writings”, H. P. Blavatsky, TPH, USA, volume XI, pp. 318-319. See the letter to the journal “Light”, dated June 1889 and reproduced on pp. 284-286 of volume XI, “Collected Writings of H.P.B.” The sentence quoted is on p. 286. The letter is published on “The Theosophical Forum” magazine (Pasadena-Point Loma Society), October 1944, pp. 469-474. See especially the upper part of p. 472. More on the spiritual and ethical failure of Mabel Collins can be seen on Chapter 11, Part 6, of the book “HPB”, by Sylvia Cranston. The novel “The Blossom and the Fruit”, by Mabel Collins, is the story of a spiritual failure. Her book “The Idyll of the White Lotus” narrates another defeat and describes treasons. The language of failure is not needed in the 21st century. Severity must be compensated by a sense of confidence. A certainty of the long term victory protects the pilgrim. See the document “To All Theosophists, The Esoteric Section of the Theosophical Society and its Enemies”, in “Collected Writings of H.P. Blavatsky”, TPH, vol. XI, especially pp. 314-315. “Collected Writings”, volume XI. See the upper part of p. 285. “Collected Writings”, volume XI, p. 320. This Adept also wrote mystical stories in cooperation with HPB, as hinted in “Letters from the Masters of the Wisdom”, first series, letter 20. The word Adept, used in theosophy to designate Initiates and High Initiates, means literally “one who knows”. “Collected Writings”, volume XI, p. 285. See the article “Undergoing All Experience”, by John Garrigues, which is published at our associated websites. The “ultimate human experience” is to observe and understand life as a whole. See for instance the text “One for All, And All for One”, by Carlos Cardoso Aveline, which is published at our associated websites. Read “The Law of Symmetry”, by C.C.A., which is published at our associated websites. “The Mahatma Letters”, TUP edition, Pasadena, California, Letter 30, first lines of p. 232. 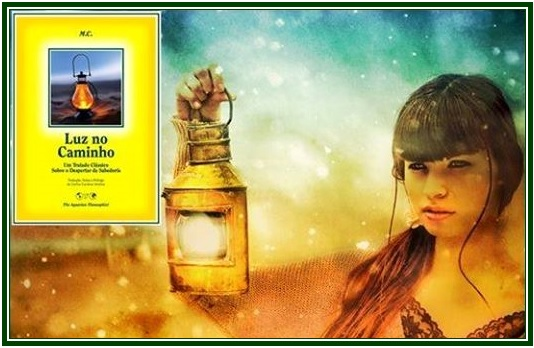 The above text is a translation from the prologue by Carlos C. Aveline to the book “Luz no Caminho” (‘Light on the Path’), by M.C., The Aquarian Theosophist, Portugal, 85 pp., 2014. 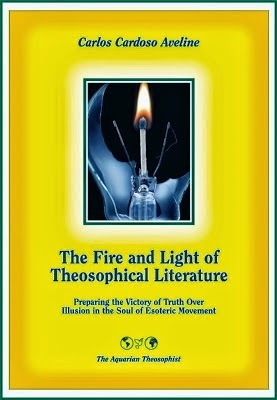 It is here reproduced from the January 2015 edition of “The Aquarian Theosophist”.